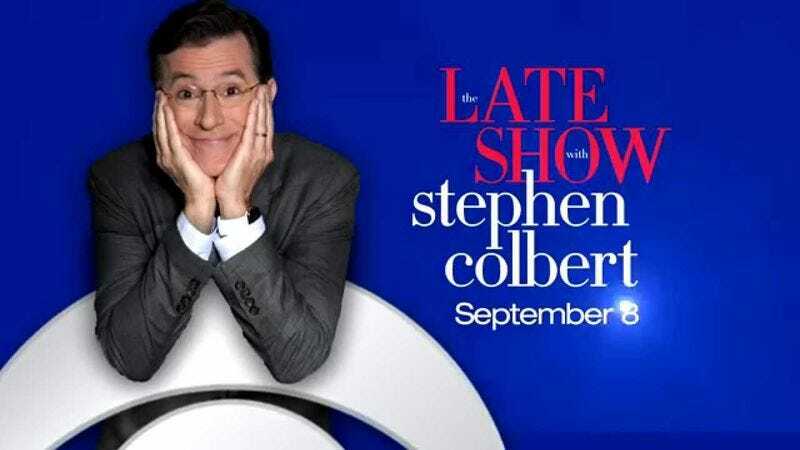 Stephen Colbert has gone ahead and announced every single (official, at least) guest he’ll have on during his first week as host of The Late Show, and it’s a surprisingly eccentric roster. Though his first night, Tuesday, September 8, will be anchored by shining human example George Clooney, that night will also boast(?) an appearance by Republican presidential candidate Jeb Bush as well as a musical appearance by Jon Batiste, Colbert’s new bandleader. Wednesday, September 9 will feature Scarlett Johansson, Tesla CEO Elon Musk, and Kendrick Lamar, while Thursday, September 10 seems a little thin with the only announced chats coming from Uber CEO Travis Kalanick and floundering restaurateur Toby Keith. Friday, September 11’s lineup is composed of appearances from both Amy Schumer and Stephen King, as well as both an interview with and musical performance from Troubled Waters, a Paul Simon tribute band that doesn’t even appear to exist and could actually just be a reunited Pavement billed under a false name.